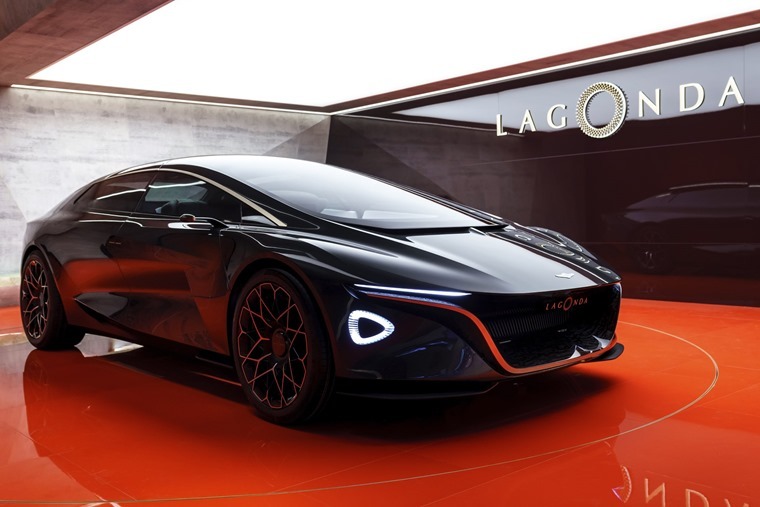 Taking the baton from Volvo and its announcement last year that Polestar would be spun off as an electric and high-performance car brand, Aston Martin has announced that Lagonda will be relaunched as a pure electric vehicle luxury brand. This begins at the Geneva Motor Show with the Lagonda ‘Vision Concept’ – a near future study that previews the design language that could potentially be seen in production Lagonda models as soon as 2021. 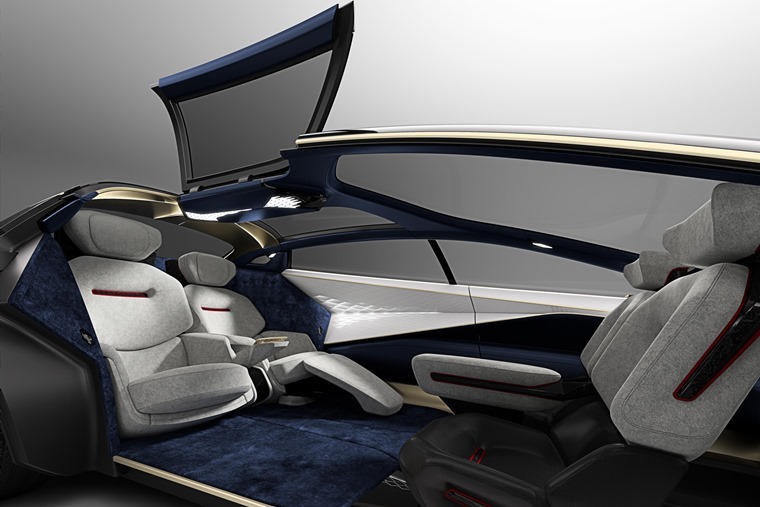 Both far shorter and lower than traditional limousines, the Vision Concept showcases exceptional space efficiency that has been achieved by its radical design means there is room inside for four adults, each of two metres height or more, to stretch out in luxurious comfort. “The electrification revolution means there is no longer any need for horse and carriage design, and our new concept shows the scope of design opportunities that open up once you no longer need to provide space for a large power source directly in front of the passenger compartment.” said Aston Martin EVP and chief creative officer, Marek Reichman. The concept embodies Lagonda’s vision to be a standalone marque that will break through long-standing boundaries and transform the way people perceive luxury transport. It doesn’t have a bonnet because one is not required. But it still needs to travel through the air and to do so as efficiently as possible to preserve battery life, which is why its shape is so sleek and dynamic. For the interior Reichman and his team took further delight in defying convention, turning to the most traditional of households for the most visionary thinking. The Lagonda Vision Concept also anticipates a world with a high level of autonomy. Its design is commensurate with level four autonomous driving, meaning the car is capable of driving itself in all routine circumstances and on all recognisable roads and has been configured to cover up to 400 real world miles between charges. Just like the Lagonda Vision Concept, production Lagonda models will not just be supremely spacious, cossetting and exquisitely appointed, but also bold and forward thinking, bristling with creativity and innovation from the way they are designed to the engineering they contain. “Wherever you are in a Lagonda, whatever the journey and whichever seat you occupy, it will re-introduce you to the wonder of travel,” said Palmer.